Jeff Riseley (Vic) became the first man in 24 years to win the 800m/1500m double at the Australian Athletics Championships today, as a further six athletes, including Olympic champion Sally Pearson (Qld), confirmed their selection to the Australian Flame team bound for Beijing 2015. Stopping the clock in 3:43.8 (hand-timed) to take line honours from Ryan Gregson (NSW, second, 3:44.7) and Joshua Wright (NSW, third, 3:45.4), Riseley’s win in the 1500m sits alongside the gold medal he won in the 800m last night. He is the first man to do so since former national 1500m record holder Simon Doyle. “The aim was to win two in Australia. Running well when I’m here means a lot to me, it’s where a lot of the boys that I do the hard miles with compete, but with 80 metres to go I thought geez and then with 30 or so to go I had a quick look, and I was like, yeah. I don’t think I’ve ever been this happy after a race,” Riseley said. Bursting from the blocks today after withdrawing from the women’s 100m as a precaution last night, Pearson clocked a meet record of 12.71 (w: -0.7) to move through to the round-of-eight as the fastest qualifier. Launching from lane four in the final, she started strongly and never looked back to cross and win her seventh Australian 100m hurdles crown in 12.59 (w: +1.3) and confirm her automatic selection to Beijing 2015, where she will look to improve on the silver medal she won in Moscow (RUS) two years ago. Michelle Jenneke (NSW) was an impressive silver medallist. A finalist at the IAAF World Junior Championships in 2012, the 21-year-old today clocked an IAAF World Championships qualifier of 12.92 (w: +1.2) to win the second heat, before returning for the final and dropping an impressive 12.82 (w: +1.3) to stake a serious claim for selection to the IAAF World Championships. “It’s nice to feel happy after a race, that’s for sure. It was a terrible first five hurdles but I knew Michelle was right there and I had to just focus on myself, worry about what I had to do to be the best hurdler today and that’s what happened,” Pearson said. “I always wanted to run this fast at the end of the season, I don’t like to run too fast at the beginning, because it’s better to do it now. And I know that there is something more there for later in the year, there’s a bunch of training that I haven’t done yet to get my speed up. It’s exciting to be running like this for sure,” Jenneke said. Not to be outdone were debutants from the Commonwealth Games, Nicholas Hough (NSW) and Ella Nelson (NSW). Hough, who won silver at the IAAF World Junior Championships in 2012, stormed home in the final of the men’s 110m hurdles to record a personal best and his first Beijing 2015 qualifier of 13.42 (w: +1.5), while Nelson won her maiden national 200m title in an IAAF World Championships qualifying time of 23.04 (w: +1.6). Both will be automatically selected to the Australian Flame team, delivering their second consecutive appearance in an individual event at a major championship. Lauren Wells (ACT) rounded out the automatic selections for Beijing 2015 on track when she won an eighth gold medal in the women’s 400m hurdles at the Australian Athletics Championships. She crossed the line in 56.51, with the silver medal won by Satomi Kubokura (JPN, 57.16) and the bronze by Betty Burua (PNG, 58.02). A throw of 64.44m in the women’s discus throw for Dani Samuels (NSW) added a tenth national crown in the event to her trophy cabinet and confirms her fifth consecutive appearance in the green and gold at the IAAF World Championships. It also caps off an impressive Australian Athletics Tour for Samuels, with back-to-back wins at the Adelaide Track Classic (65.20m), the Queensland Track Classic (64.14m) and the Australian Athletics Tour Final (66.21m) in Sydney (NSW). “You blink and you miss it, it just goes by so quickly. I’m really excited for the European season now, and then on to the World Championships. That’s the next big thing,” Samuels said. Competing in the women’s high jump, Eleanor Patterson (Vic) entered the competition at 1.88m and made light work of the height before another first attempt clearance at her winning mark of 1.91m. She missed all three attempts at the Beijing 2015 qualifier of 1.94m, but two previous leaps over that mark, including a 1.96m clearance at the Australian Junior Athletics Championships, ensure her addition to the Australian Flame for the IAAF World Championships. – Robbie Crowther (Qld) won the men’s long jump gold medal with a season best leap of 8.05m (w: +0.5), as Yohei Sugai (JPN, 8.00m) won silver and national junior champion Darcy Roper (Qld) bronze. Based on complete 2014 rankings and performances to date in 2015, Roper’s jump of 7.91m (w: +1.6) ensures he sits clear as the best under 18 aged athlete in the world, providing a real confidence boost for the 17-year-old as he prepares for the IAAF World Youth Championships in Cali (COL). – Chelsea Jaensch (Qld) won her maiden Australian long jump title with a leap of 6.74m (w: +3.2) from Brooke Stratton (Vic, second, 6.60m) and Corinna Minko (Vic, third, 6.34m). – Jacko Gill (NZL) threw 20.75m to win the men’s shot put, with Damien Birkinhead (Vic) the best placed Australian in second. He threw 19.04m. – Throwing 80.00m, Matt Outzen (NSW) reigned supreme in the men’s javelin. The Commonwealth Games bronze medallist Hamish Peacock (Tas) won silver with a throw of 79.55m, while Ben Langton-Burnell (NZL) won bronze (73.46m). Competition in Brisbane (Qld) today brings to a close the 93rd Australian Athletics Championships, as well as the Australian Athletics Tour. Attention now shifts to the initial announcement of the Australian Flame team for the IAAF World Championships later this week, before the IAAF World Relays in Nassau (BAH) in early May and the commencement of the IAAF Diamond League series in Doha (QAT). 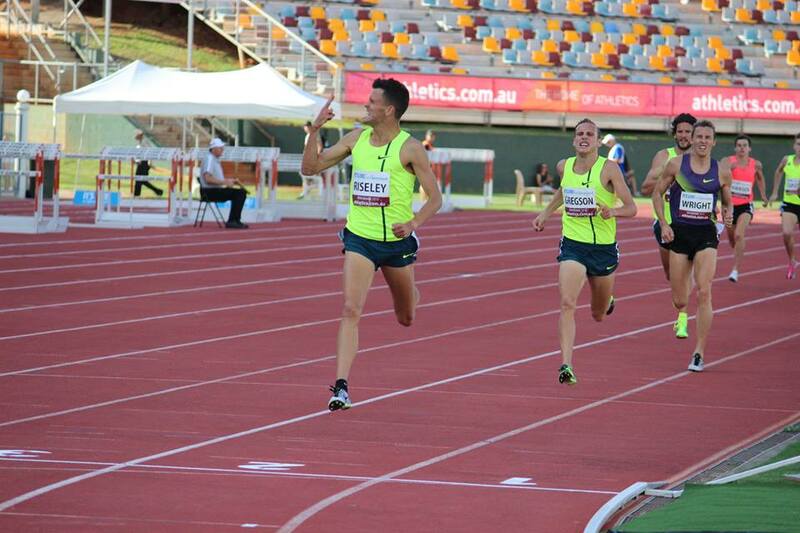 For more information on the 93rd Australian Athletics Championships, including complete results, please click here.